Welcome to Spring in WNY. It snowed today. Most of the morning and a good part of the afternoon looked like this. 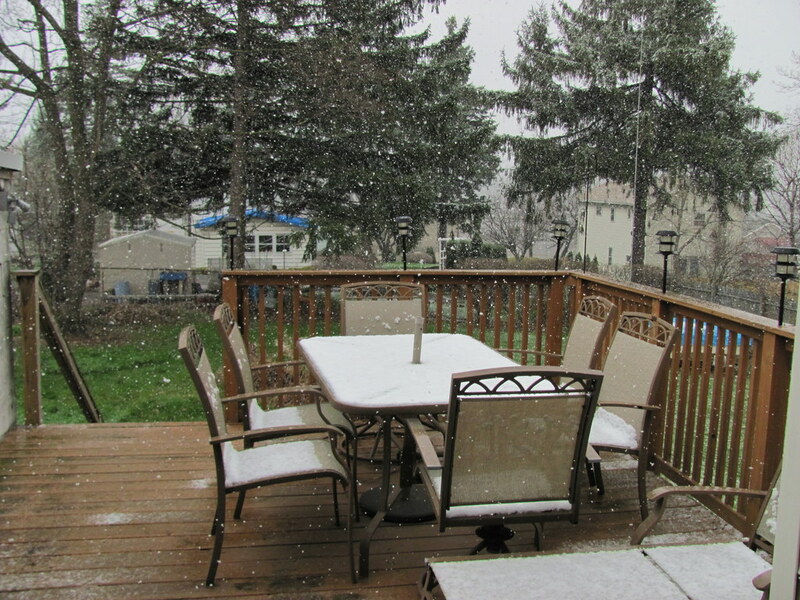 Try as it might, it couldn’t stick and didn’t accumulate except on the furniture. It made an interesting day, had it been just rain, it would have been depressing. But snow made it a bit interesting. It wasn’t really cold, either. I went outside several times with just a sweatshirt and worked in my garage for a few minutes in my shirtsleeves.